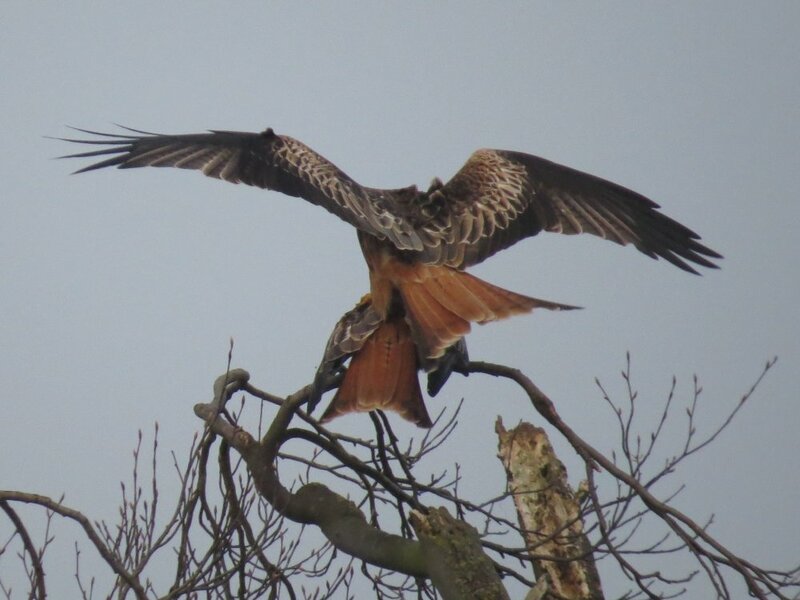 ... and with it the bird's breeding season. 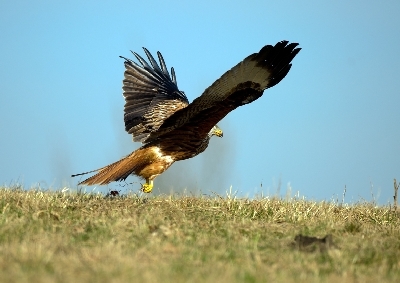 This is where we would appreciate your help as there are many potentially suitable woodlands where there may be additional breeding pairs that we aren’t aware of. If you see a pair of birds please let us know. 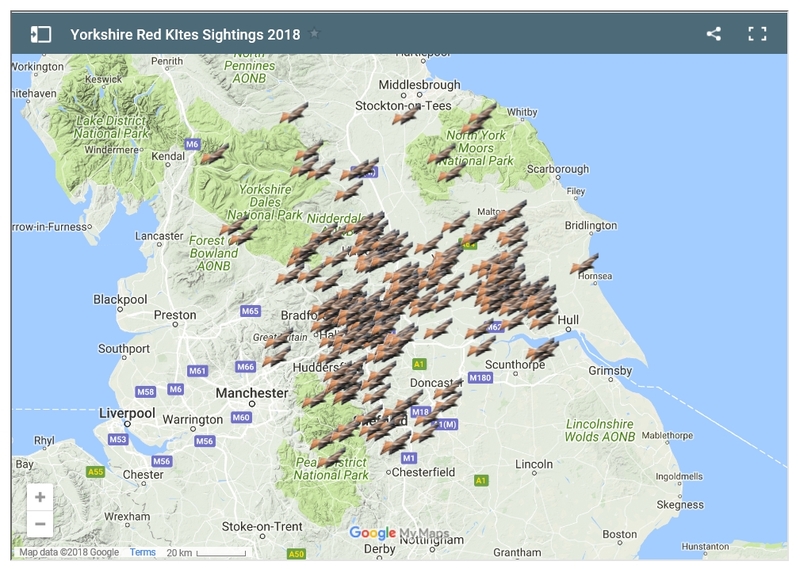 We've created a sightings map from the data that you've sent to us this year. Click this link or the map to be taken there. 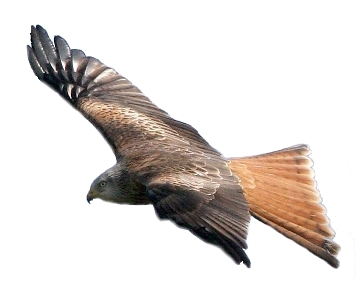 If you are fortunate enough to know of any Red Kite activity, please use our ‘Contact Us’ page to let us know. It is possible that we may not already be aware of it. 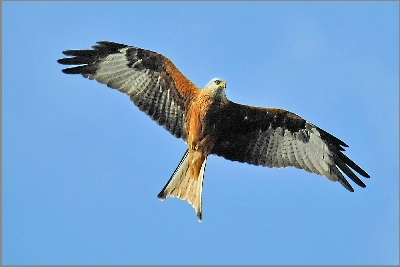 We are particularly interested to hear if you have not seen kites in that area previously. 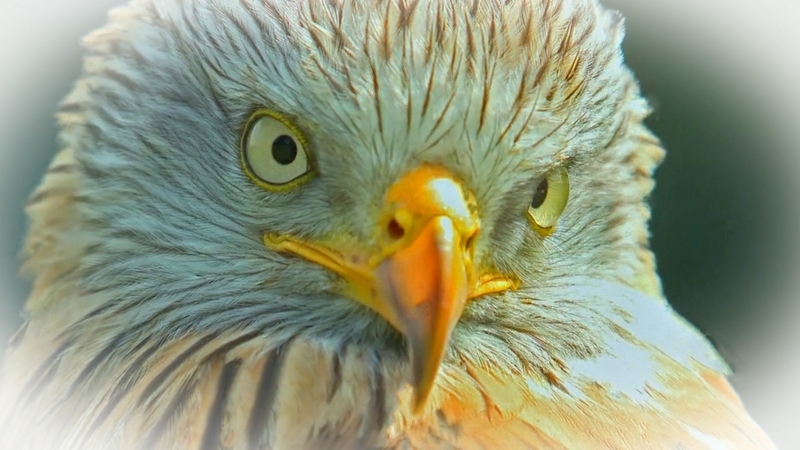 Such information assists us in our monitoring work and would be treated confidentially. This is invaluable to our work, but if there's a delay in us responding it's because we're busy out 'in the field'. 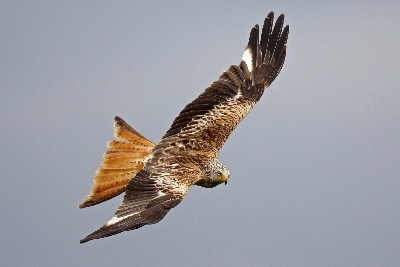 We're on the hunt for some videos for the YRK website that show our local birds in action. "When the kyte builds, look to lesser linen"
On stilly wings and forked tail." The kite who was ducked by a goose!